OWINGS MILLS, Md. -- The Baltimore Ravens reached a one-year extension with seven-time Pro Bowl guard Marshal Yanda, a league source told ESPN's Adam Schefter. Yanda, 34, who was entering the final year of his four-year, $32 million contract, is now tied to the Ravens through the 2020 season. The extension likely means Yanda can finish his career with the Ravens. A third-round pick by Baltimore in 2007, Yanda has established himself as one of the NFL's top interior linemen over the past decade. 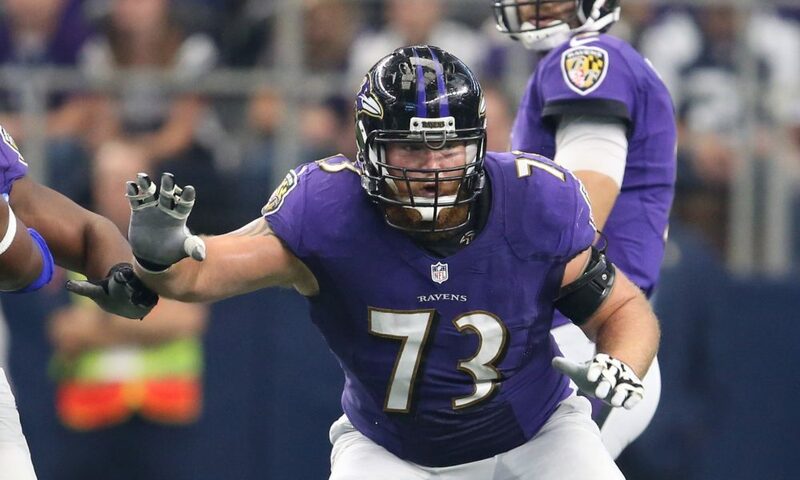 General manager Eric DeCosta recently expressed a desire for Yanda to play beyond this season. Then, on Wednesday night, DeCosta celebrated his 48th birthday by striking this extension with Yanda. "In regards to Marshal, we love Marshal, and we'd love Marshal to continue to play for us for years," DeCosta said at the team's pre-draft news conference on April 2. "He's a great player. He's still playing at a high level. He's a Raven. You can define a Raven and put a picture of Marshal Yanda up there, and that's him." Yanda said at the Ed Block Courage Awards last month that he was enjoying a healthy offseason for the first time in a couple of years. He had already begun lifting and running. Known for his toughness and technique, Yanda was a key member of the Ravens' run-heavy offense with quarterback Lamar Jackson. Last season, he led an offensive line that has helped the Ravens produce the NFL's No. 2 rushing attack (141.9 yards per game). If Yanda continues to play at a high level for the next two years, it will increase his candidacy for Canton. "He's just a special human being and a special player," Ravens coach John Harbaugh said a few years ago. "And he's a Hall of Famer someday." With Yanda signed, the next Ravens players in line for an extension include kicker Justin Tucker, outside linebacker Matthew Judon, offensive tackle Ronnie Stanley, inside linebacker Patrick Onwuasor and defensive tackle Michael Pierce.